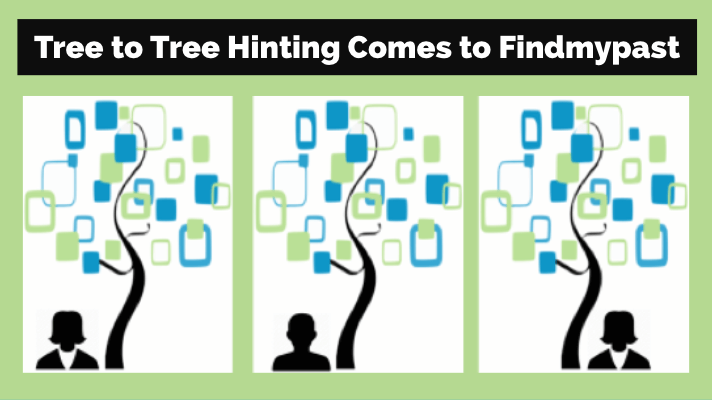 If you’re doing DNA tests for family history, you may see lots of predicted cousin matches: 2nd, 3rd, 4th, etc…..But what does that predicted genetic relationship actually mean? 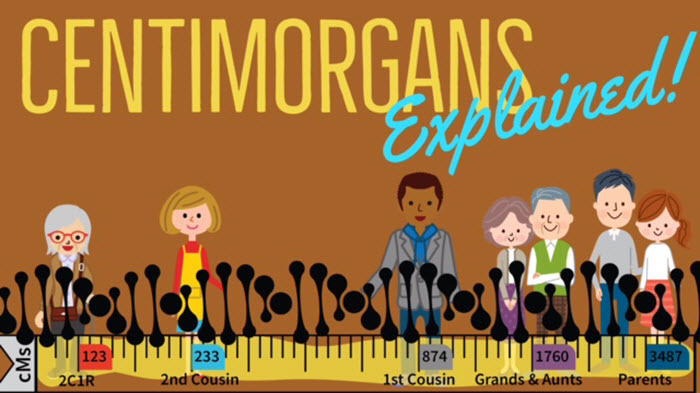 Learn about centimorgans, the powerful genetic genealogy unit of measure, and how it helps your research. When we are looking at genetic relationships, there are also many ways we can measure them. But ultimately, we want the testing company to tell us how likely it is that a particular individual shares a single, recent common ancestor with us. One factor in this calculation is to take into account the total amount of DNA we share with that match. Currently, all the testing companies are reporting this sum in centimorgans (cMs). Every company reports to you the total number of shared cMs, as outlined below. 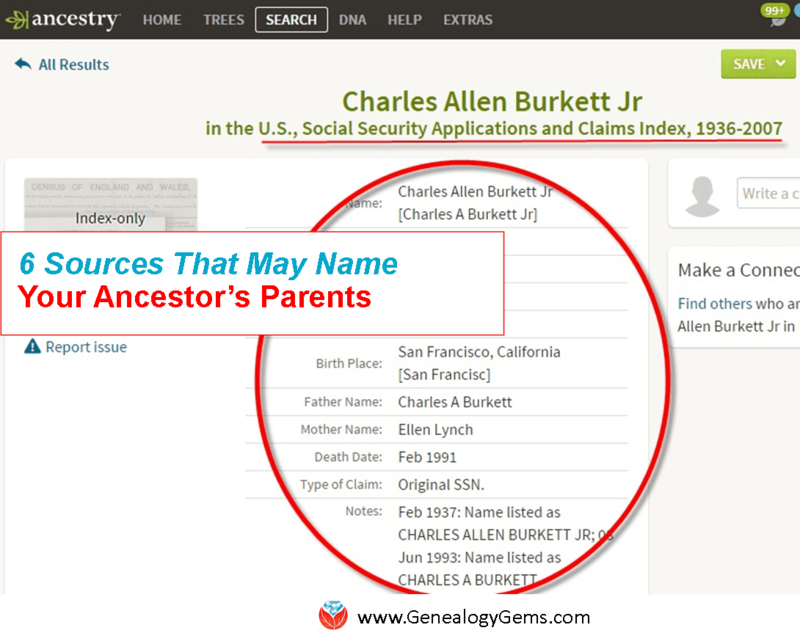 AncestryDNA: Click on the match to access the personal profile page for that match. In the second section, under Predicted Relationship, you will see the confidence level. To the right of the confidence level, you will see a grey circle with a little “i” in it. Clicking there will show you the total amount of shared cMs as well as how many pieces of DNA you share. Family Tree DNA: On the main match page for your Family Finder results, you will see the total amount of shared cMs in the third column. 23andMe: You can see the percentage of shared DNA from the main DNA Relatives home page. To convert the percentage into centimorgans, just multiply your percentage by 68 (that will at least get you close). You can also see total shared cMs in the chromosome browser tool (go to Tools > DNA Relatives > DNA). MyHeritageDNA: The total amount of shared DNA is shown on the main match page under the title Match Quality. 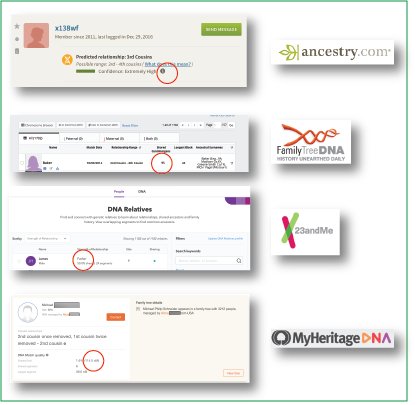 MyHeritage also has a new DNA Match Review page. Click here to read more about that. It is very tempting to think of a cM just like you would think of an inch or a centimeter, and for all practical purposes, that is okay. But it is actually much more complicated than that. A cM is actually more like a crystal ball: it helps us predict how likely a piece of DNA looks exactly as it did a generation ago. This, in turn, helps us calculate how far back we should be looking for the common ancestor between two people. But for our practical purposes, you can use the total amount of shared DNA, in combination with this chart compiled by Blaine Bettinger and the Shared cM Project, to better assess your genealogical relationship with your match based on your genetics. To use the chart, take the total amount of shared DNA you have with a match, and look up that number in the chart to get an idea of what kind of genealogical relationship might best fit the genetics that you see. For example, if I share 69 cM with my match, we might be third cousins. But we might also be second cousins once or twice removed. Thanks for sharing this post with someone who would enjoy reading it! You’re a gem! I have an autosomal match at ancestry, predicted 1st-2nd cousin, total 997 cMs on 38 segments. I have communicated with this match, and she shared her maternal tree with me; and her maternal great-grandmother was my maternal grandmother. We are 1st cousins 1x removed, although our dna shows 1st cousin. I also have a 2nd cousin match, 325 cMs total, and our grandmothers were sisters, so we share the same maternal great-grandmother. I also match both of her daughters, one with a total of 218 cMs and the other 195 cMs so they are both 2nd cousins, 1x removed. The shared dna makes sense with my 2nd cousin and both 2nd cousin 1x removed. There is a twist in my family tree; specifically that my birth mom was a paternal 2nd cousin to my birth father, because they shared the same paternal great-grandfather, which is my paternal 2nd great-grandfather. My 1st cousin 1x removed match’s grandmother was a sister to my birth mother, so I think this is why we share the extra dna, and why my 2nd cousin and her daughters share the normal amount of dna with me. Gedmatch has an application where you can see if your parents were related, and my result was almost 200 cMs on 11 segments, which is consistent with 2nd cousins. I know that was a lot I shared, but just interested in your opinion. From Diahan: You can certainly see evidence of multiple relationships in your amount of shared DNA. Double cousins are a difficult thing to diagnose, but since you already know about the relationships, it makes deciphering the numbers a bit easier. Good job turning to Gedmatch- that is a great place to go to see if your parents were related, and when they are, as in your case, it can really help you better analyze your relationships. Good job! I would to get a ancestral DNA test but they cost so much why finding out your history cost so much? From Diahan: Well, heading into the holiday season there will certainly be sales, so if ever there was a time to jump in, it is now! I need to find a genealogist skilled at DNA matching. Can you recommend one who is not too expensive? Somebody who can only look at family trees and sources won’t help. I have already done that with somebody’s help and traced thousands of people linked to DNA matches but with no success in finding my father. Oddly my tree seems lopsided with my mother’s relatives. I think the only thing that will help is a scientific analysis of my DNA and the matches, which I’m not skilled enough to do myself. From Diahan: I can actually help you with that! I can get together and teach you how to analyze your DNA matches for answers. You can view my consultation options here: http://www.yourDNAguide.com, then click on Consultations. I desire to learn who my biological father is. I have an interesting story to tell. My father who raised me, I have learned through DNA, may not be my father. He was 14 years older than my mother. His nephew lived with my mother and father for a while. He was the grandson to my father’s eldest sister who married a man from Norway (came to the USA via boat 1900). Their second son died, I believe in 1970. My parents almost divorced and the nephew left…never to have contact with them again. My DNA shows I am 34 percent Scandinavia. I have learned that his daughter has now had her DNA. Before her death, my mother said she had something she needed to tell me. I asked her “What?” She said, “I just cannot tell you.” I would like to find out if this nephew is, in fact my biological father. I don’t think he ever knew about my mother being pregnant with me. I cannot afford to pay much at all. Amie Tennant recommended that I contact Diahan Southard. Amie is a distant relative of mine. I am 77 years of age and I certainly would appreciate knowing. I have been told this possible biological father of mine died with stomach cancer. This leaves a great concern for my children…ages 49 and 47. From Diahan: I am sure I can help. Please reach out to me directly at guide@yourDNAguide.com, so I can get some more information from you and help you decide how to move forward. Do centimorgans measure how much DNA you share with a certain individual? All of my children have had tests done through ancestry. Their numbers are all different. Does the difference between theirs and mine determine how much DNA they share with me? Further, I understand there is a measurement limit of 6770? Does the difference between mine and theirs leave the amount they share with their father? For instance in comparison with me a child has 3470 cm, deduct that from 6770 and you get 3300. Is that what the child shares with his father?